Since Grab entered the Singapore market, the way we hail for rides has become much simpler and convenient. In just a few taps, we are able to get a ride to our destination fuss-free, and at competitive, flat rates. 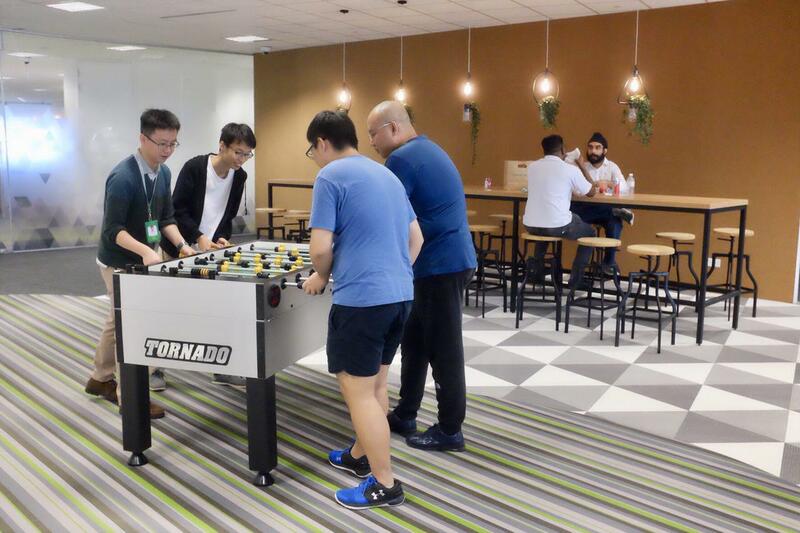 We took a tour around Grab’s Research & Development Centre located at Marina One for a glimpse behind the scenes of Asia’s leading ride-sharing company. 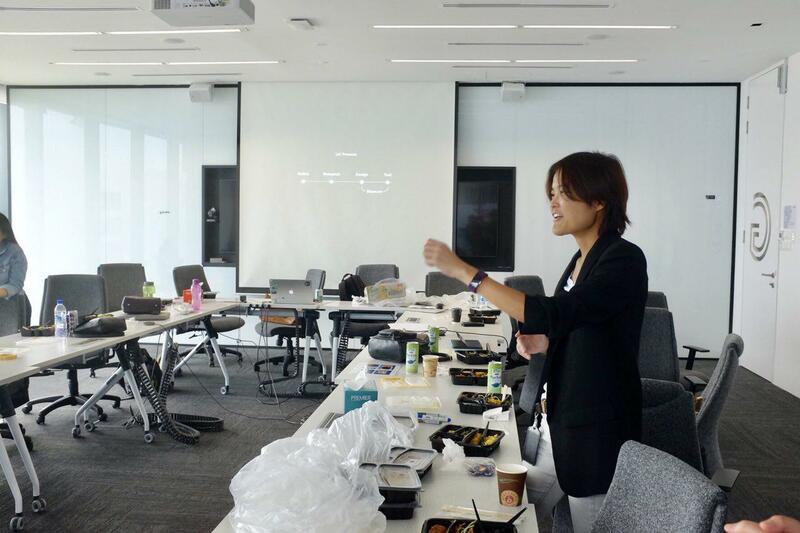 On International Women’s Day, we also had the opportunity to meet Tan Hooi Ling, co-founder of Grab, and Serene Ow, Grab’s Data Science Lead, to find out how Grab is encouraging and empowering women inside and outside of tech. By now, most of you would know about how Grab started. Hooi Ling met her partner, Anthony Tan, at Harvard Business School, and Grab, formerly MyTeksi and GrabTaxi, was borne from them trying to find a solution for making commute safe and fair for people in Malaysia. 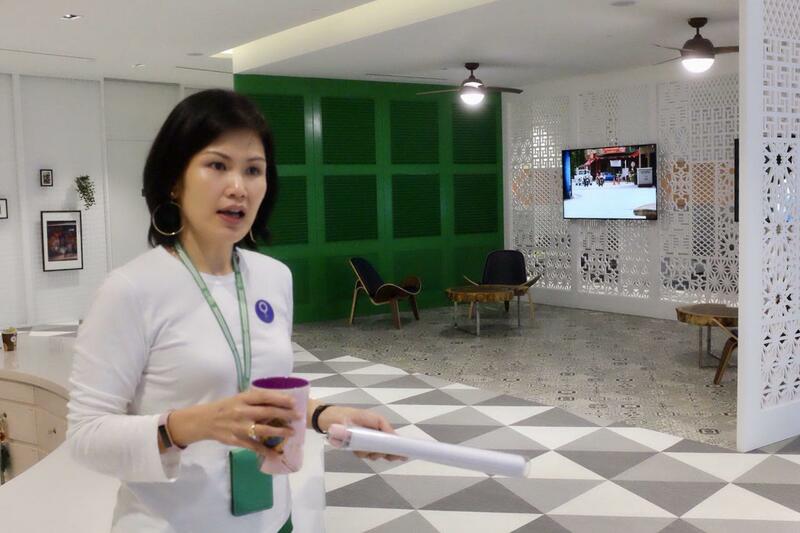 Fun fact: she also drew up the business plan for GO-JEK, but chose to join MyTeksi. Serene has more than 12 years of experience in tech and has helped grow the data science team from just 10 last year, to 36 this year. 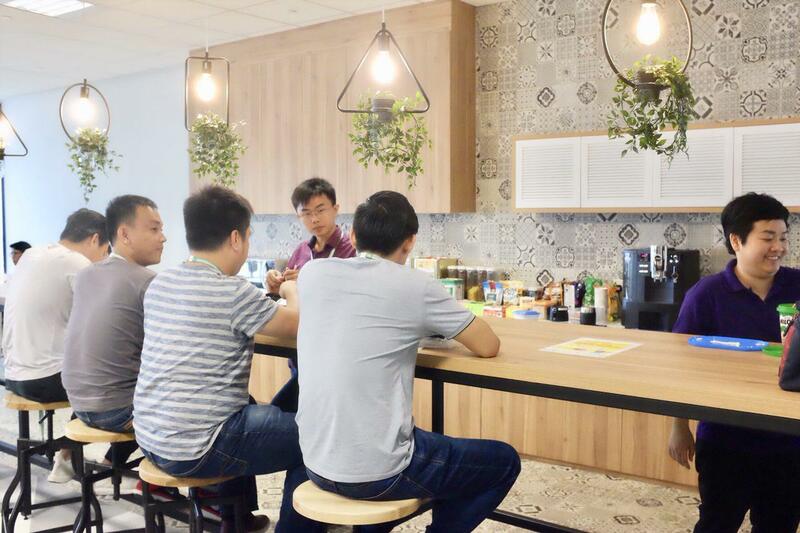 On whether if she has faced any challenges as a female in the tech industry that tends to be perceived as a male-dominated industry, she said she didn’t face any discrimination, probably because of Singapore’s meritocratic nature. “I think it’s really more about changing the mindset of the general public and the females, (helping them understand) that certain roles are not limited to males,” she shared. If you are interested, go all out, look for (opportunities), and learn. There’s no glass ceiling or anything like that. 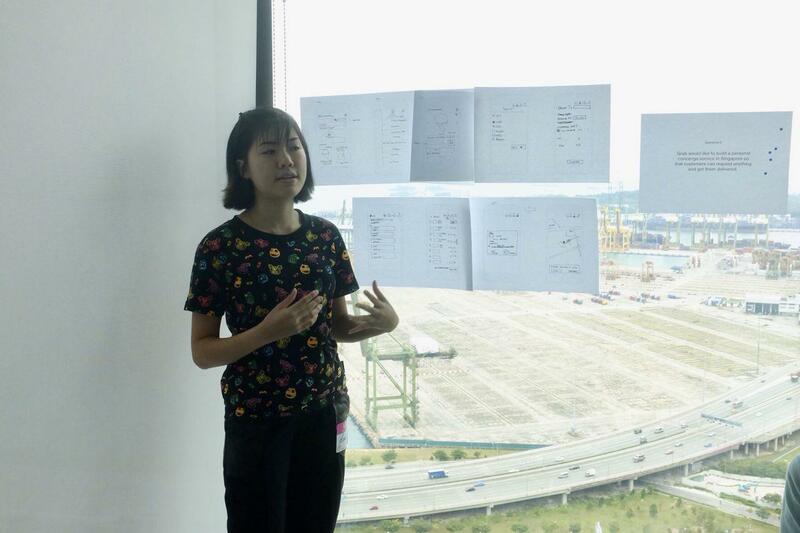 She used a UX learning workshop they were conducting for a group of about 12 to 15 daughters of Grab drivers as an example. The workshop equips these young girls, who are aged between 15 to 19, with knowledge of design learning and design think, which are “important concepts in tech”. Helping give them the exposure early on opens up opportunities and options to them. Now even if they don’t end up inside tech, at least we know that they’ve considered it because they know what it is about. 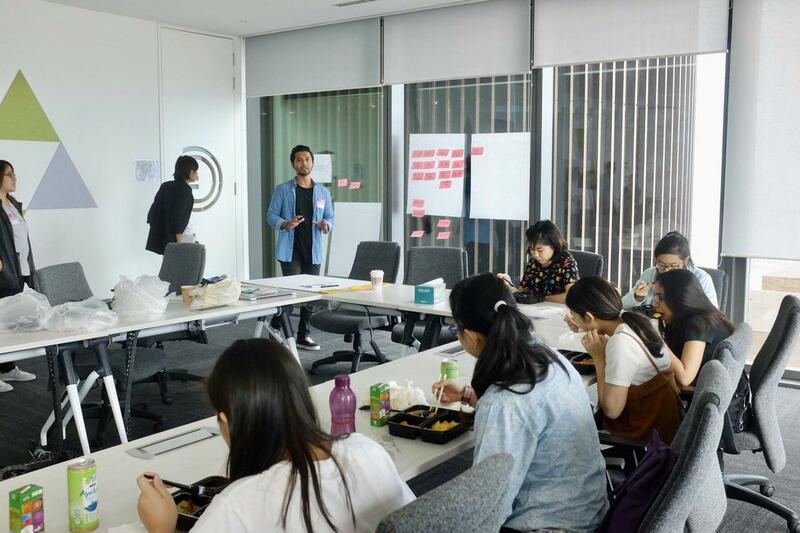 Whether it’s Mapathons (coordinated mapping event), whether the programmes are held in Singapore, Philippines, or Thailand, they believe that it is “super important” to let everyone know what’s possible. She talked about how Serene will be giving a speech at a big data conference later in the day, and how, even though stereotypical, there are so little female leaders on the stage. “People need to go through and get the right training, they need to start thinking this is possible. We are investing into this because we care about the growth of the region,” she explained. 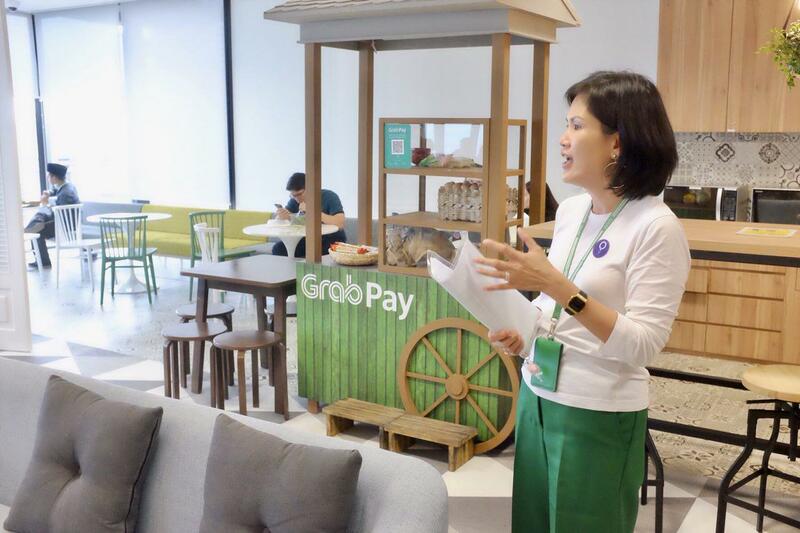 The two female leaders of Grab share one thing in common: engineering. 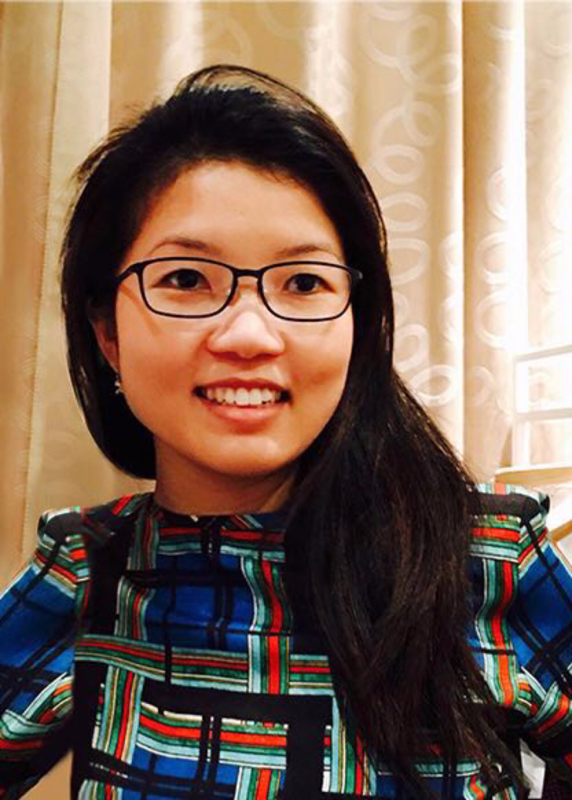 Hooi Ling studied mechanical engineering and had actually worked in that field for a year before going to business school. Serene studied electrical engineering before making the switch to become a techie. They said females only made up around 10% of the engineering cohorts then, and many people of their generation would easily accept it as a fact. But imagine if there were more and more females. If that ratio was higher, it would be much easier for us to hire more females now. “The reason why it’s difficult to hire females right now because nobody was trained in the necessary skills,” Hooi Ling shared. “Engineering was such a strange concept back then. But I did it because I liked it. So if more people can try out what they liked, then more and more people can be in tech,” she added. Serene agrees that this generation calls for more people to start young, and that education in tech shouldn’t start from university especially in this digital age. 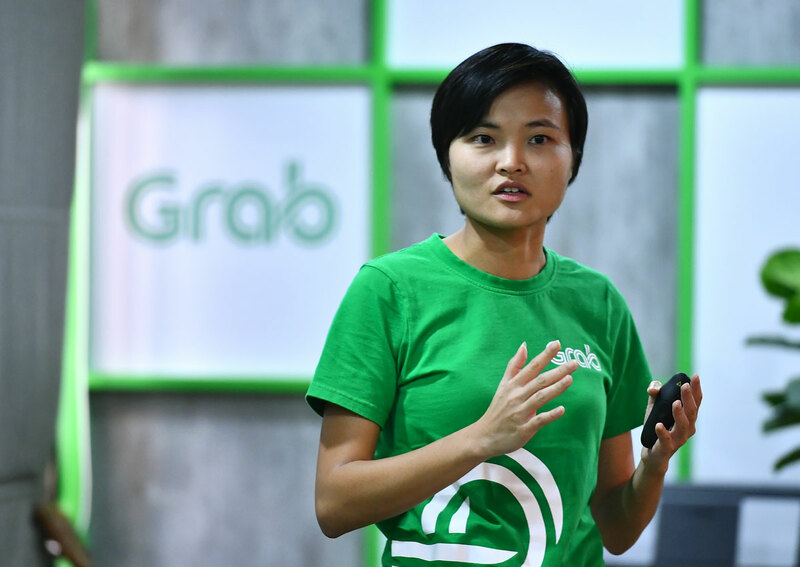 On retaining women in tech and in Grab, and enabling them to stay on and advance in the industry, Hooi Ling said Grab was “lucky” to have been set up based on first principles. “When Anthony and I first started the company, the fact that I was a female co-founder, hopefully speaks volumes of what we care about. We’ve never ever looked at either of us as male or female, more muscular or more skinny,” she stated. Hooi Ling went on to say that they have 20 to 25% of data scientists who are female, and more than 40% are women in the company. So they have “become conscious” of their ability to shape this image within Grab and outside of Grab. She talked about a programme called Women At Grab that is led by another female leader at Grab, and it was suggested to them by a set of female Grab drivers. The programme sees female leaders like Hooi Ling and Serene mentoring other female Grabbers (Grab employees). “Whether they are in leadership positions or not, anybody who wanted to know how they could grow as individuals, professionally, and personally, we spend time in a structured and an unstructured way,” she said. Hooi Ling believes in balancing work and life, and recognises the fact that women prioritise family heavily. 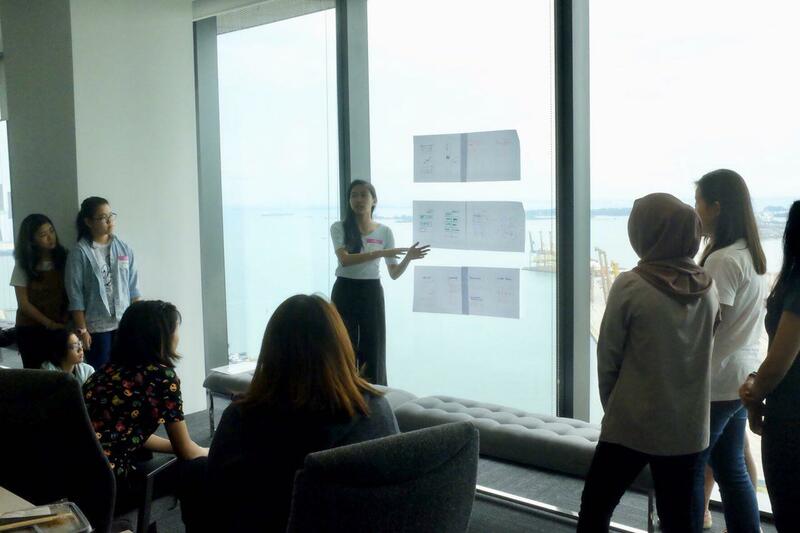 To illustrate the lack of female leaders or entrepreneurs in Singapore, in general, this report stated that “females in Singapore ‘continue to be weighed down by their protracted challenges in achieving work-life balance'”. 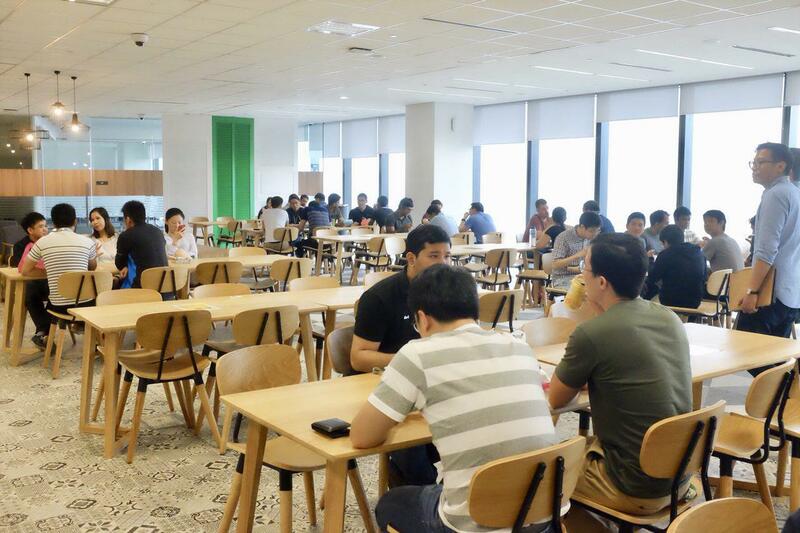 So Grab has introduced three days of paid family day care leave for all employees, regardless of male or female, where employees can use it for carrying out their family responsibilities without question. 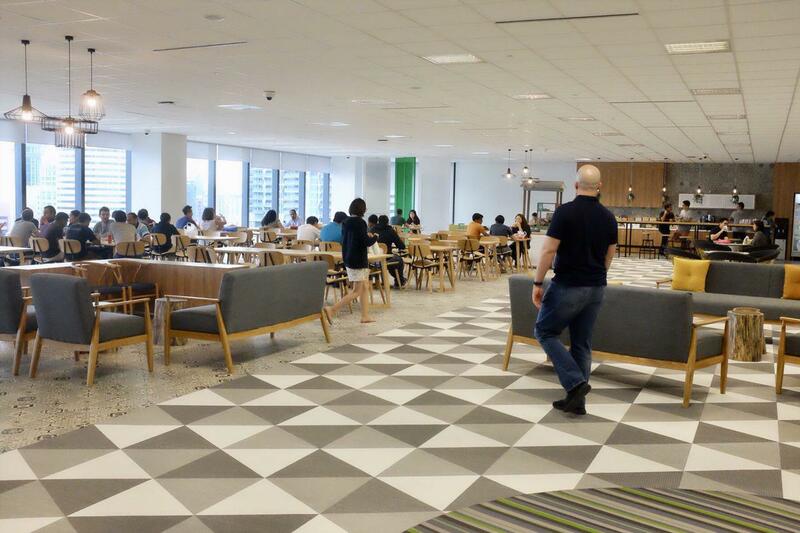 Grab’s R&D Centre at Marina One houses almost all of their engineers. This is the largest tech centre out of the six in the world including, Bangalore, Beijing, Ho Chi Minh, Jakarta, and Seattle. They kept their offices at Cecil Street and Sin Ming, where the former will house most of the management team along with other backend staff and the latter remains a centre for their drivers. 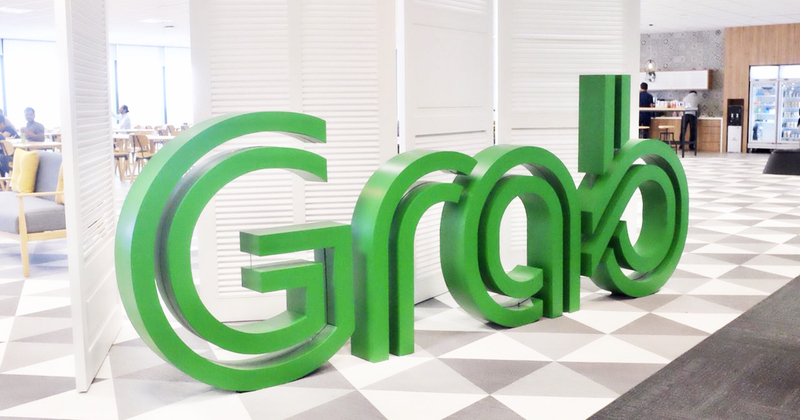 Right now, Grab has established presence in 8 countries and 191 cities, and has more than 40 nationalities across all its offices.